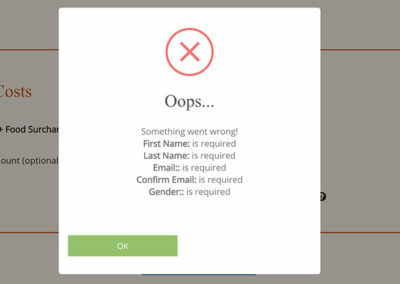 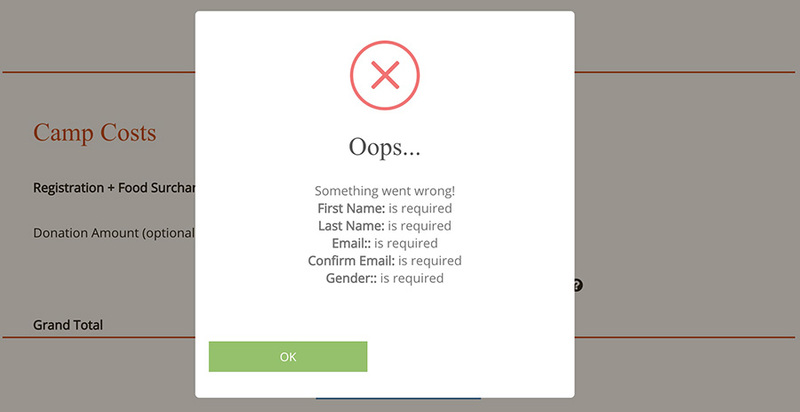 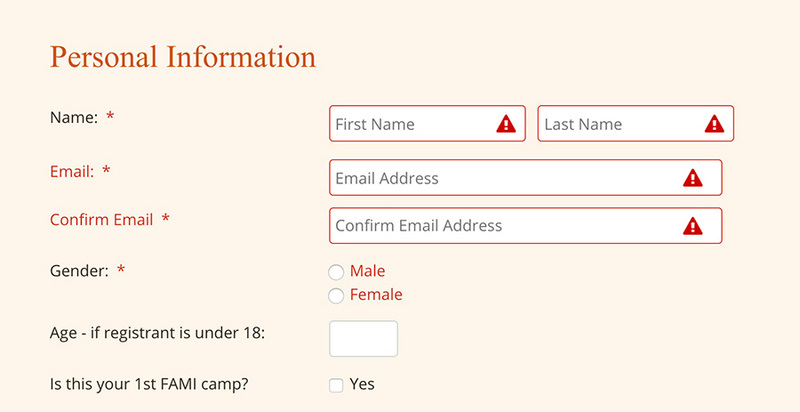 If you get an error message popping up (Figure 2) that likely means you failed to fill-in a required field – scroll up and look for the RED triangles or RED text (Figure3) to find the spots you missed. 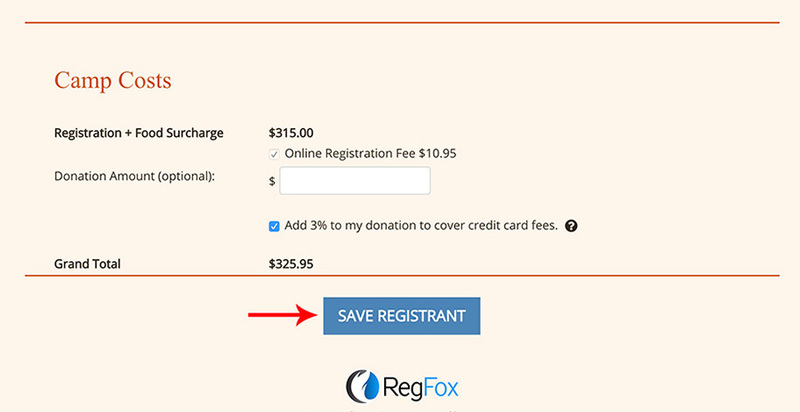 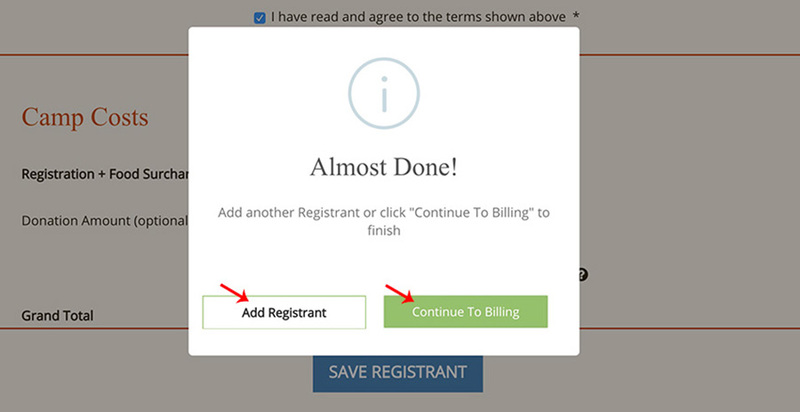 At this point you will have the option to choose whose who the billing person is (Figure 7). 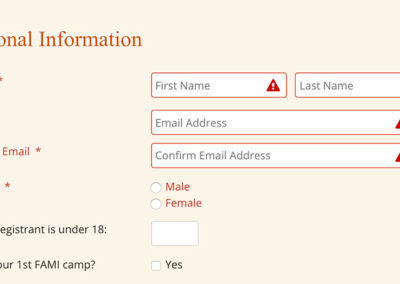 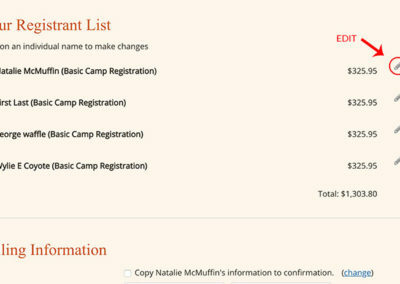 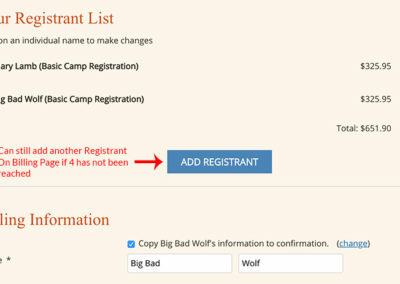 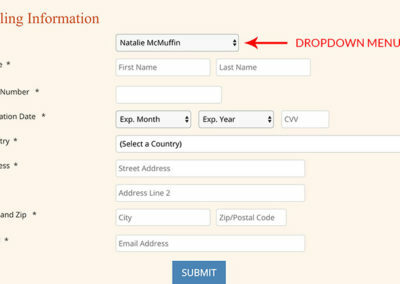 Click the CHECK BOX to use the default person or click CHANGE to get a dropdown menu (Figure 8) of the people you have registered and select the name of the person who is paying. 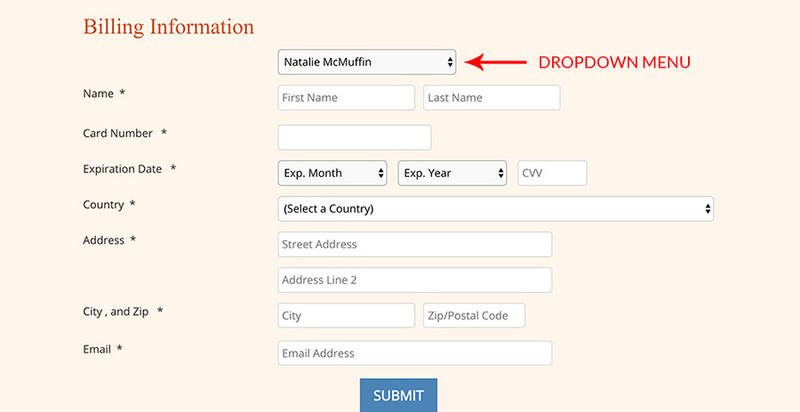 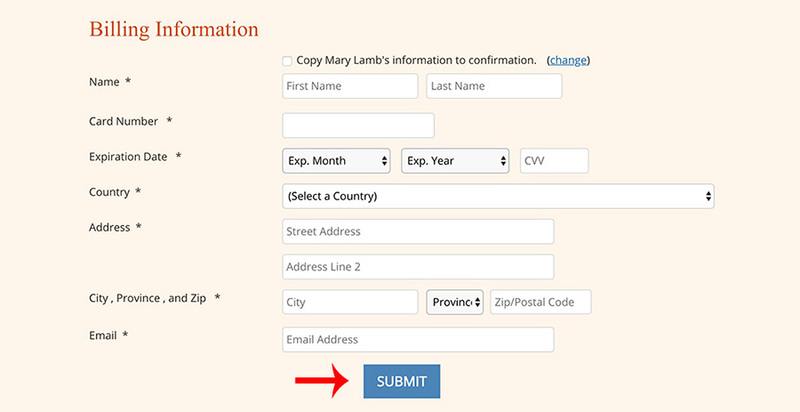 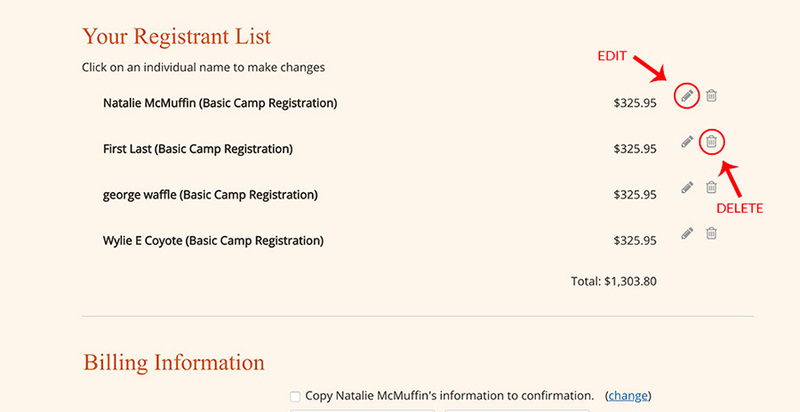 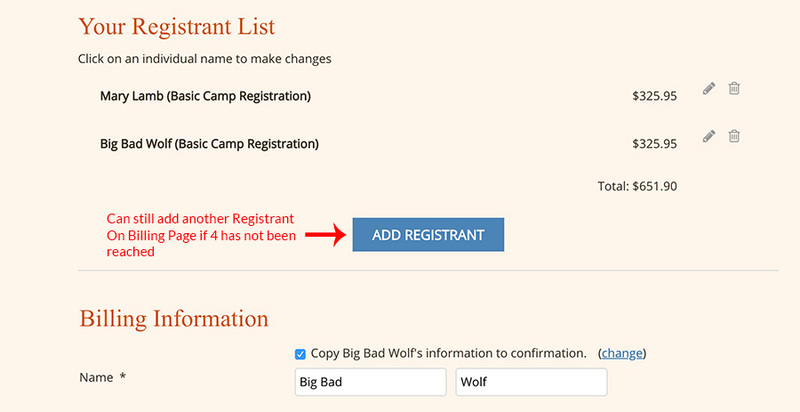 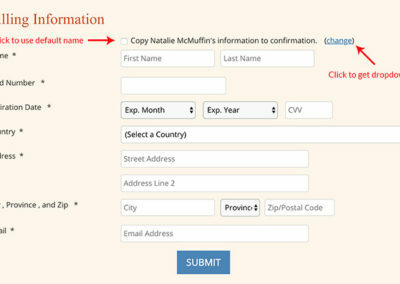 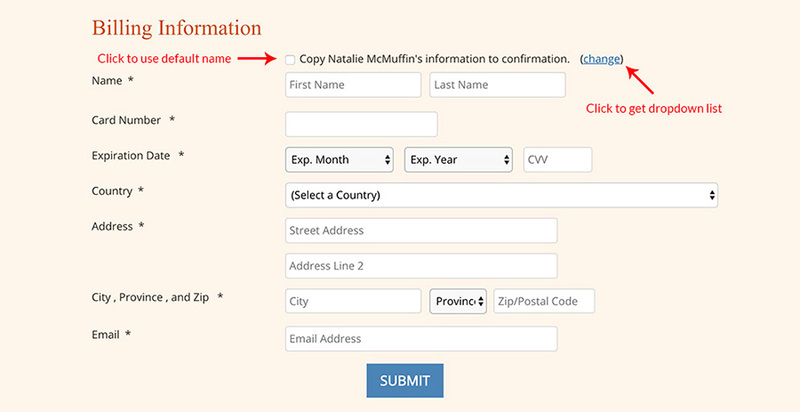 The name and email for that person will be automatically filled in so you will not have to re-type it. 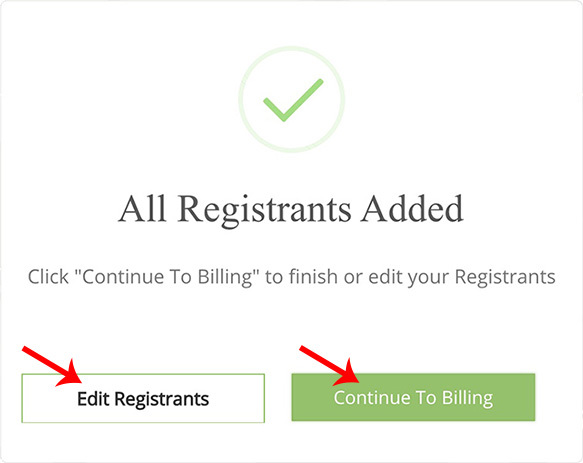 Before clicking SUBMIT on the billing page, you still have an opportunity to edit or delete a registrant by scrolling up and clicking on the PENCIL ICON to edit or the TRASH CAN ICON to delete (Figure 9). 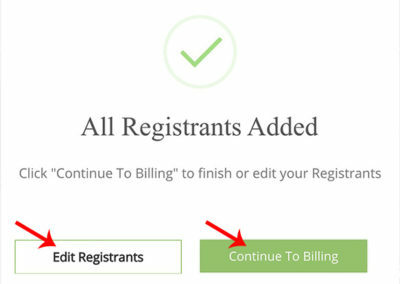 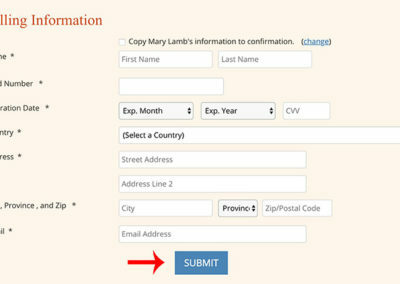 Once you have clicked on SUBMIT (Figure 10) and have moved to the confirmation page you will no longer be able to edit the registration data. 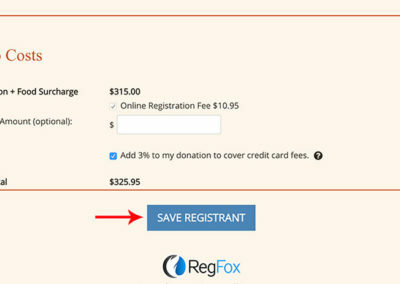 Click on the thumbnail to open image in a lightbox. 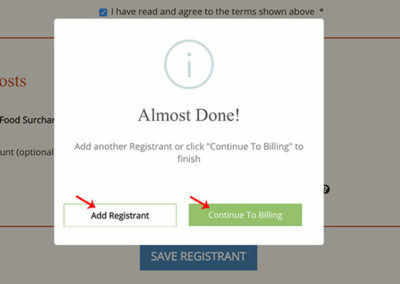 Once the lightbox is open you can scroll through all the images using the navigation arrows.